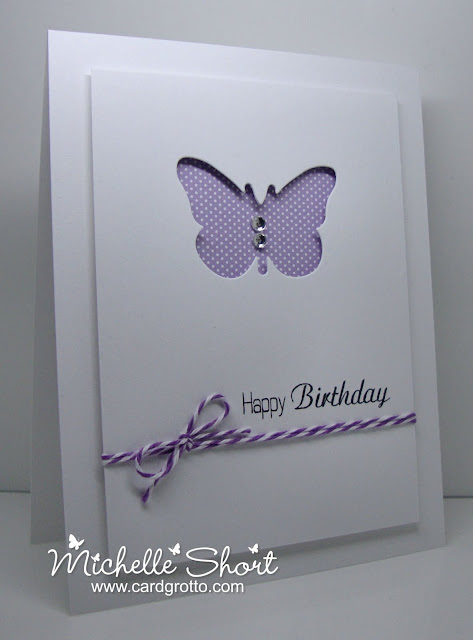 Hi there, sorry but I am back with another card using the fab Clearly Besotted Stamps Butterfly Dreams die! I am just in LOVE I tell you! 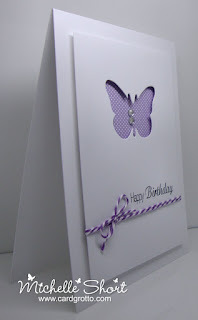 This time I have used it to create an apature in the CS and then added the piece on to the card base with 3D squares. The gorgeous sentiment is from the Once Upon A Time set. Thanks so much for visiitng me today, the next card will be something other than the die I promise! Do you all have snow where you are? There has been a light dusting here in Surrey but not much at all. I have ordered a pair of wellies from Amazon though just to be on the safe side!! 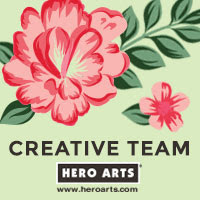 Have agreat day! 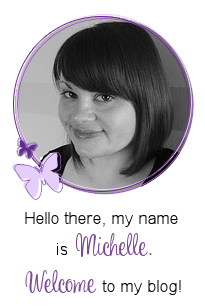 Beautiful Michelle...I can understand why you keep wanting to use this die, it's such a fab one !! We had snow in Northampton this morning and lovely sun this afternoon. 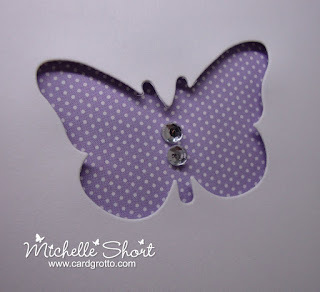 Love the butterfly die, very tempted to buy it! Stunning, Michelle. The essence of CAStacular!! This is fabulous Michelle... love the white with the fab splash of purple dotty!